1Preheat an outdoor grill for medium high heat and lightly oil grate. 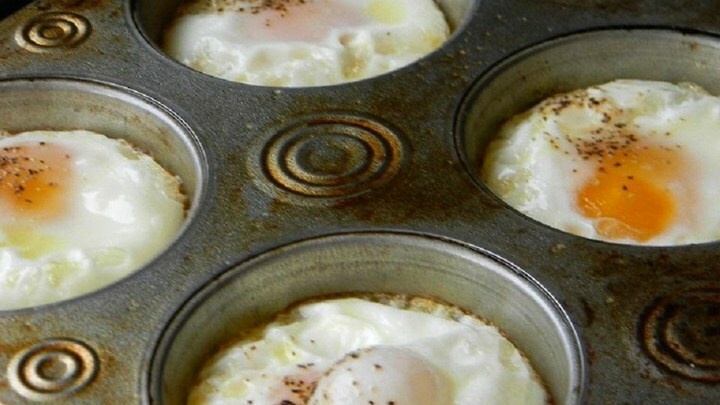 2Coat all holes of a muffin pan with cooking spray and crack an egg into each hole. 3Place on grill and grill over medium high heat for 2 minutes, or to desired doneness.